The new version HZL-5W™ is a water based hazer liquid, which is much drier than the oil based version and produces s a much finer, fuller haze. Colorless, odorless, and non-flammable, HZL-5W™ leaves no long lasting residue or contamination and complies with the strictest health and safety regulations. 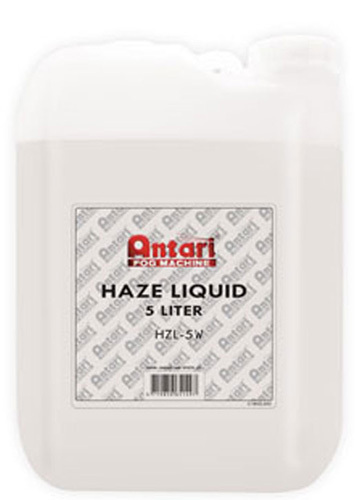 HZL-5W™ will increase lifespan and reliability of all ANTARI Branded Hazers; HZ-100, HZ-300, HZ-350, HZ-400, and HZ-500. NOTE: For use in compressor based hazers ONLY! NOT for use in F-3 Fazer, Z-350 Fazer, and water based fog machines.